We will also travel anywhere in the USA. The Three Stooges Tribute Act is the perfect choice for classic slapstick comedy at your next special event. Three Stooges comedy can be applied to places where you would least expect it. The boys are a perfect compliment to any event and they are sure to cause a scene that will have your guests howling. Custom comedy routines can be provided for any theme event or special occasion. 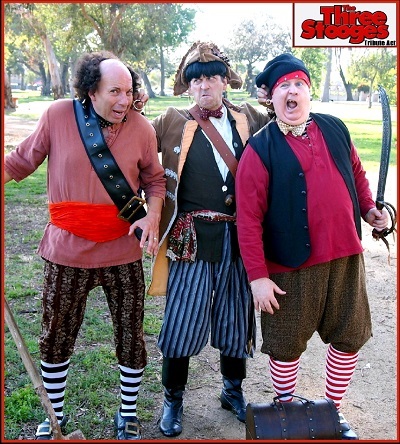 Have the best Three Stooges Tribute Act in America entertain at your next event or for your for your grown-children's birthday party or corporate event or any party that could use some zany humor. 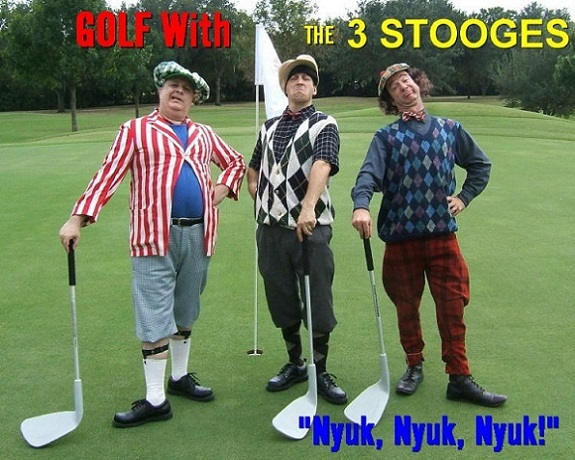 Hire the Three Stooges impersonators for your corporate event or party, EMAIL US TO REQUEST YOUR DATE Curly, Moe, and Larry are dressed for any event from a black tie high society Soiree' to a corporate event or celebrity golf tournament , the boys are always ready to inject irreverent humor and slapstick comedy that has amused young and old for decades.